People ask me all the time....what software do I use to edit my videos? I highly recommend Power Director 15 Ultra. It has powerful, professional features that will truly turn your videos into really cool and unique videos. Video marketing is proving to be highly effective to growing your business, promoting your products or services. Give this software a try! 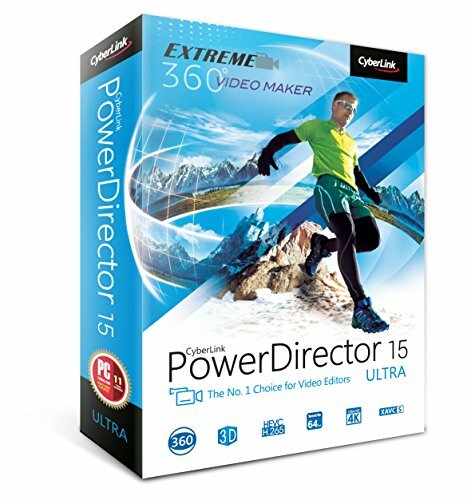 Power Director 15 Ultra offers a unique combination of high-end performance and advanced editing features. It's remarkably easy to use making video editing accessible to creators of all skill levels, and a huge selection of customizable design tools, including unique alpha transitions, animated titles, particles and Pip objects, provide the freedom to explore creativity and reflect it in unique video creations. Easy to use - With clear and intuitive interface, Power Director make it quick & easy to create pro videos in minutes. Easy to learn - Tutorial videos for both beginners and advanced users are provided on the Cyber Link Learning Center. New features - Power Director now supports end-to-end 360 Degree video editing, and all new video blending feature will bring unique impact to your videos. Extreme Toolkit for Sports Video, perfect work with GoPro and other sport cameras - The Action Camera Center brings powered features to your videos.